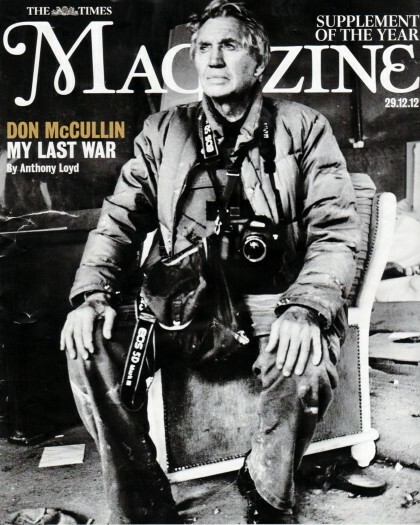 In December of 2012, Don McCullin, after a 15 year break, once again returned to war. The situation in Syria had been playing on his mind for some time and teaming up with Anthony Loyd, a long serving and well respected war correspondent, he went across the Turkish border to shoot a story for the Times Magazine. The fact that he, the greatest living photographer of war zones and trouble spots, should decide to once again go to war, is a sign of how deeply entrenched has been his desire to show the “safe” world what is happening in places far away, where death, cruelty and destruction are a part of every day life. A life far removed from our own.